Flour is a finely ground powder prepared from grain. It is the main ingredient of bread and other baked goods, such as pasta, cakes, biscuits, pies etc. To achieve success in baking, it is important to know where to buy the right flour! Sell and buy flour from the best suppliers on Export Portal! Flour mostly refers to wheat flour, although it can be made from rice, nuts, corn, buckwheat, oat, soy. 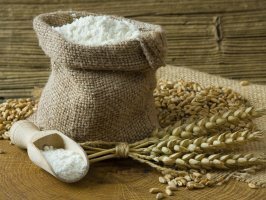 Wheat flour is one of the most important ingredients in African, Middle Eastern, South Asian, European, North American menus. Wheat flour can be made from hard wheat, soft wheat, or a mixture of the two. There is a large variety of wheat flours : whole wheat flour, all-purpose flour (refined), bleached or unbleached, self-rising flour (with added leavening and salt) and enriched flour (with added nutrients). White rice flour is considered lighter and easier to digest than wheat flour. Soy flour is used in sweet, baked goods such as cookies and quick breads. White corn flour is used as a filler and thickener in cookie, pastry and meat industries. Almond flour is especially good in pastry crusts, cookies, and quick breads. Export Portal is incredibly easy to use! Selling food products becomes easier and buying turns into a pleasure!